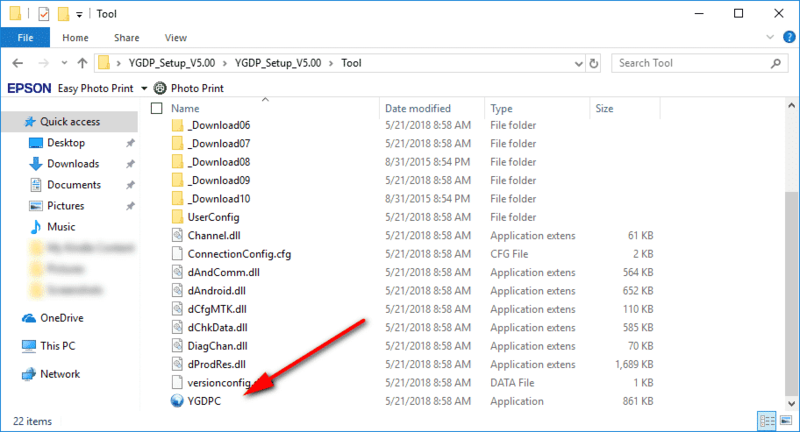 Here’s what you need to know to be able to flash CPB firmware files onto your Android device by using the YGDP flashing tool. You should always make sure your battery is sufficiently charged up before flashing firmware files, even when you know your device is going to be plugged into the computer and using the USB charging. We recommend having at least 75% battery power remaining on the smartphone or tablet before you get started with the flashing. 2. Download the YGDP tool onto your computer and extract the file by right-clicking on it and then choosing the option for extracting it. 3. Open the YGDP folder that you extracted and click on the YGDP executable file (.exe) to open the application. 5. 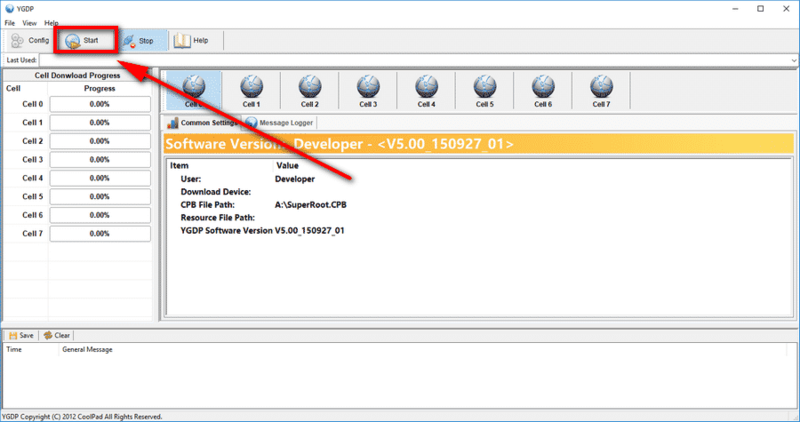 Click on the “Configuration” button on the top left-hand corner of the YGDP interface. 6. 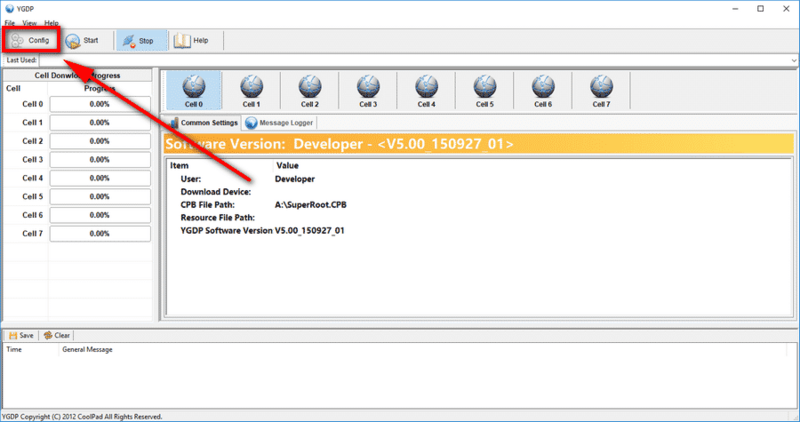 Click on the small folder icon and browse the computer to upload the firmware file you wish to flash. 7. Click on the “Apply” button once you’ve selected the firmware. 8. Turn off the Android device. Connect your Android smartphone or tablet to the computer with its USB cable. 9. Click on the “Start” button. The flashing of the firmware now begins. Your device might reboot a few times during the flashing process. Don’t be alarmed. Just keep waiting and do not disconnect the device from the computer until you get am “Upgrade successful” or similar message from the YGDP interface. Back Up Your Data: You should find that your pictures, videos, documents, music, etc. are still on your device after you’ve flashed the firmware. But other sensitive data such as your phone contacts and applications that you’ve installed from Google Play after you started to use the device are not. Taking a backup of everything on your device is best, so you know you can restore it again later. YGDP Password: You may need to enter a password when you go to use the tool and before it allows you to flash any firmware files. The flashing tool preprogrammed this by itself. The default passwords are as follows: 9527 or 369. Official Tool: Coolpad Inc is the team who develop the YGDP tool.